We all know a tea drinker within our friends and family circle, and whether they drink it to keep their tummy warm, out of a habit, or as a part of their diet there is no denying that teas are part of our daily routine just like breathing. We understand that gifting a person who likes a brew is never a piece of cake, especially if you aren’t a huge tea drinker just like me; and just because you aren’t a pro when it comes to tea doesn’t mean you have to settle for less when it comes to presents related to it. I don’t want to spoil anything to you but we’ve found a selection of unique tea inspiration on the internet for the person who enjoys a cuppa tea, and we listed them down below for you to see! This box of tea comprises of 9 different variants of the brew. Each boasts to have a unique character and taste, they have been selected by professional tasters so you can be sure that the quality were never compromised. These are organic pressed teas that will instantly dissolve in a cup, and the sampler box has 4 types of tea which are basic flavors if you ask me; but I like being basic. 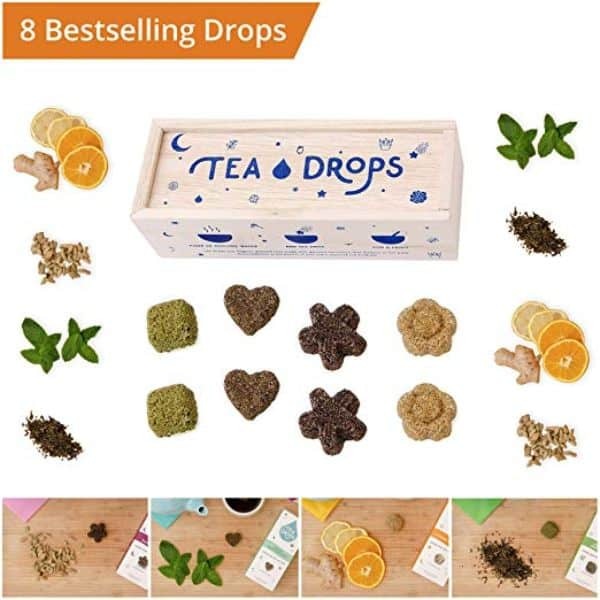 So let the tea lover see it and taste it for herself, if anything, she’d rather get these tea drops than have tear drops. Just saying! We cannot always assume that a tea lover would just want to receive a tea bag, a tea kettle or a cup. I think we have to branch out to other tea related things even if it means engaging them into arts. Oh yes! 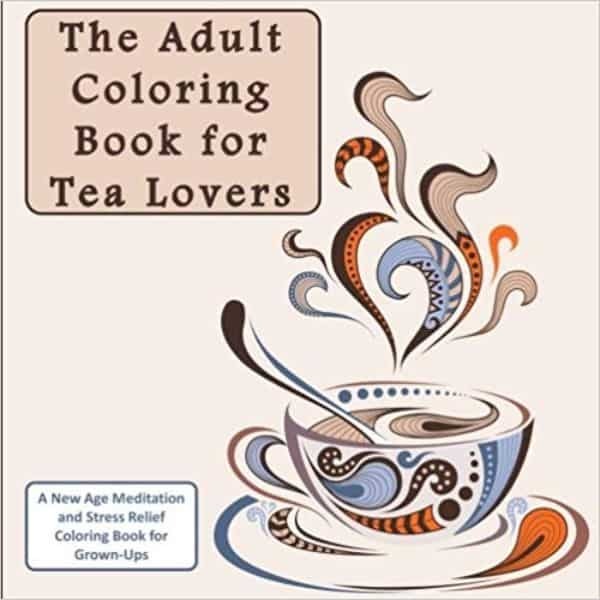 There is no stopping a tea lover to express her love for coloring especially when both tea and art makes her relax and relieve her stressors away. This necklace reminds me of Chip and Mrs. Potts from Beauty and the Beast, but don’t ever forget to include this on your gifting list. 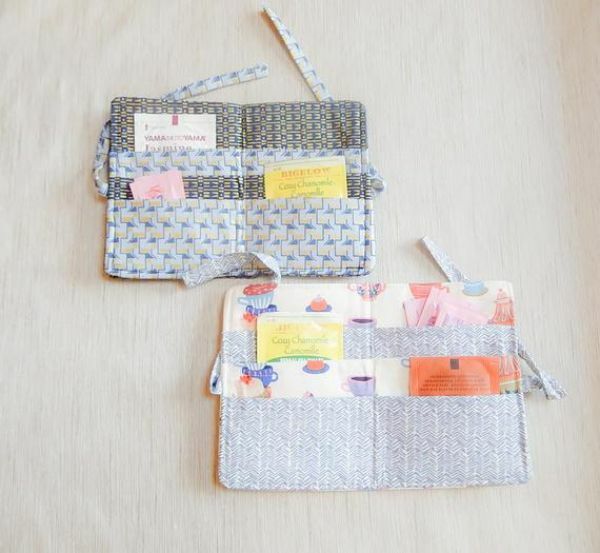 The ideal gift for a tea lover and even non-tea drinker, because an accessory like this can match anyone’s outfit. 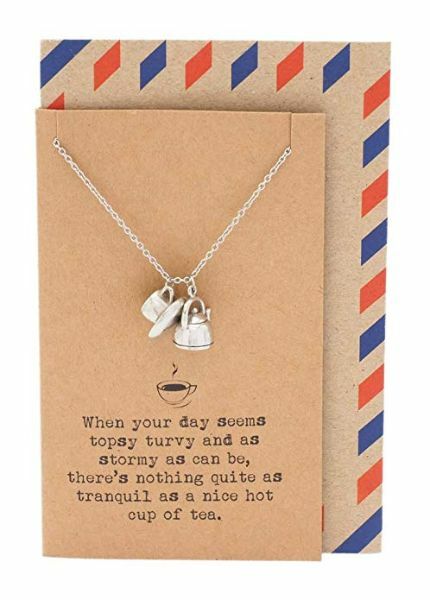 If the receiver of your present is a regular traveller, then this tea bag holder should be included in her luggage. This is great for the tea lover who likes to carry tea, aside from convenience, they can definitely save some money if they bring their own packets of tea. The ideal gift for a tea drinker who extends their stay in bed every morning. These are comfy and has a non-slip grip to ensure that the feet will stay warm just as they want their tea to be warm. 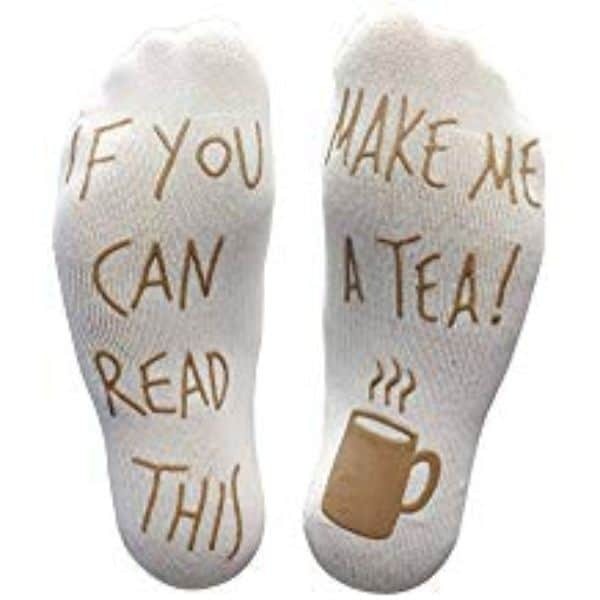 So before you make them a cup of tea, give them these socks first then carry on with your duty. 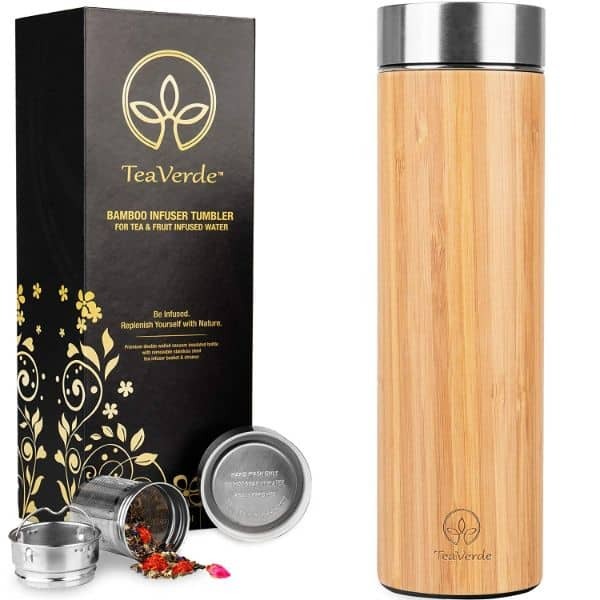 Tough and beautiful just like our mother nature, this bamboo tumbler is constructed to be eco-friendly and non-toxic, just the typical things we look for a trusty bottle. It has a tea infuser inside perfect for the on-the-go lifestyle of the tea person in your life. This also ensures the temperature of any drink that’s in it, ask me and I’ll say, you have to grab this! Speaking of infuser, this set of tea infusers are just the cutest. Call me a kid at heart but they simply have the charm, I am not a fan of sharks, but with the ever so gentle looking shark infuser, you can sign me up! I bet your tea person will be glad to receive these as a present. 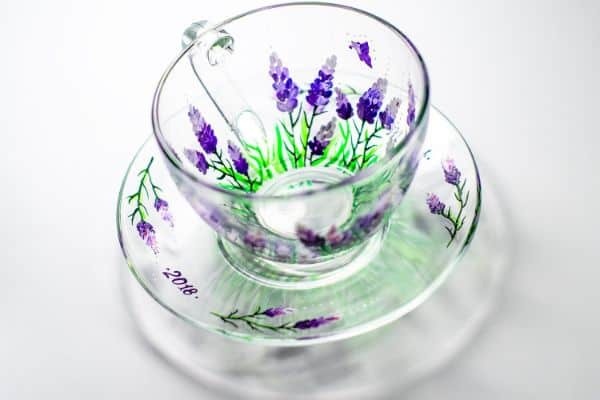 Most tea drinkers are also cup collectors, I think it’s because of the special experience that they get from drinking on their favourite cup or collection. You may find it weird, but I know a lot of tea lovers who have a massive cup compilation. 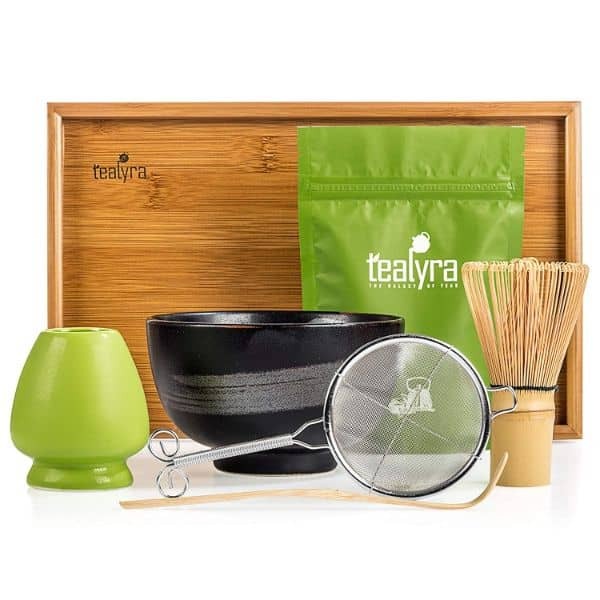 This is a start up set for a matcha tea drinking ceremonial, you can either give the tea lover a ticket to Japan to taste the original matcha or you can take them on a matcha journey with this gift set, it’s way cheaper but it’s a lifetime experience. Not only is green tea good for the tummy, but it is also great for invigorating the skin and awakening the senses. 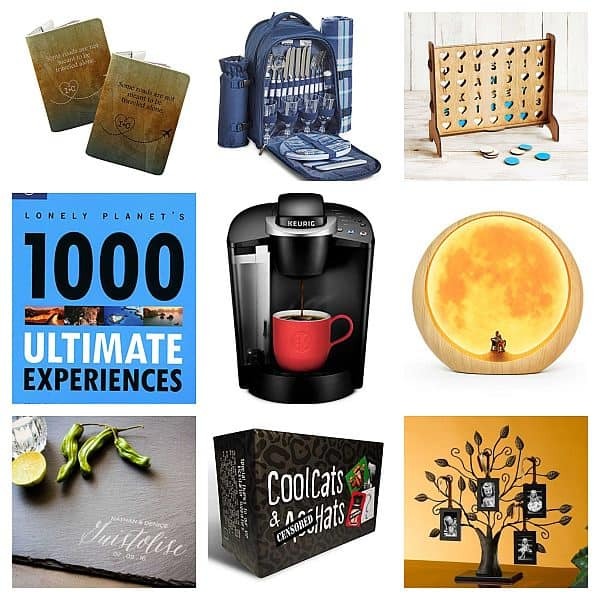 What we love about this whole package is the convenience and practicality that it gives when it comes to gifting a tea fanatic. 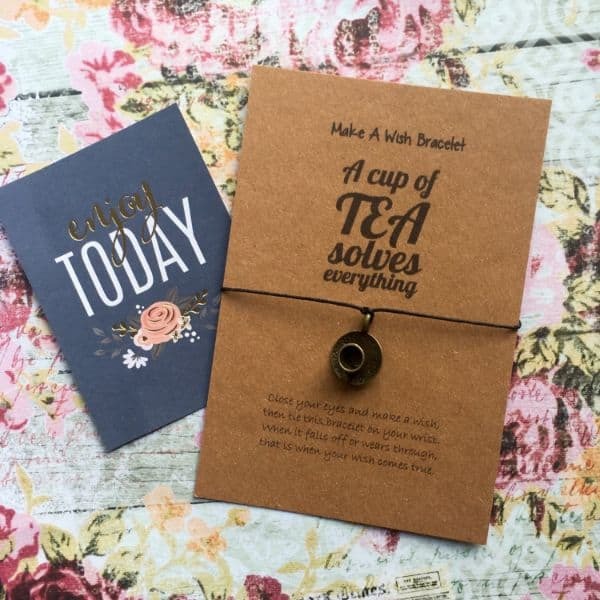 This handmade bracelet with a simple little trinket of a tea cup is a dainty gift for any tea lover or even non-tea drinker. 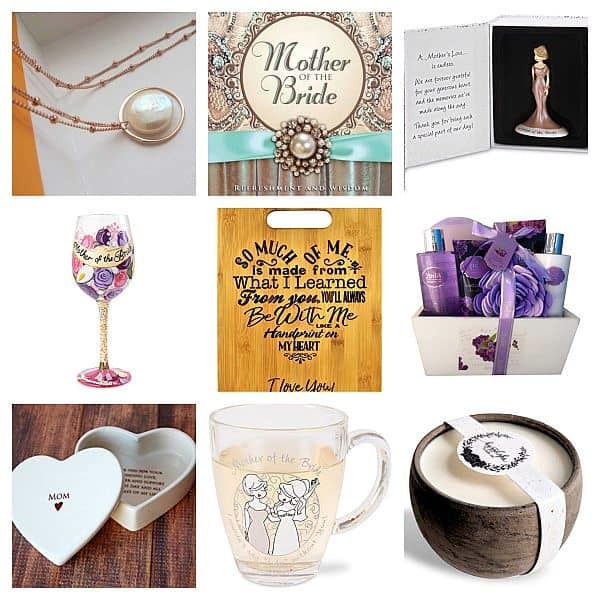 You can give this as is or add it to a gift hamper; and we know a little secret about this make a wish bracelet, they say once it wears through, then the wish will come true! 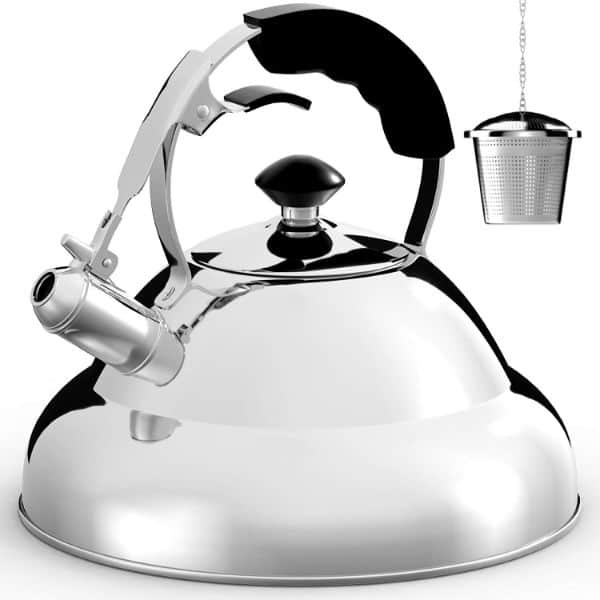 This is no ordinary tea kettle because it comes with a tea infuser. It will give a whistling sound as a signal that the temperature has reached its boiling point; but the premium stainless steel strainer brews the tea in no time, a really smart gift for a tea drinker in your life. 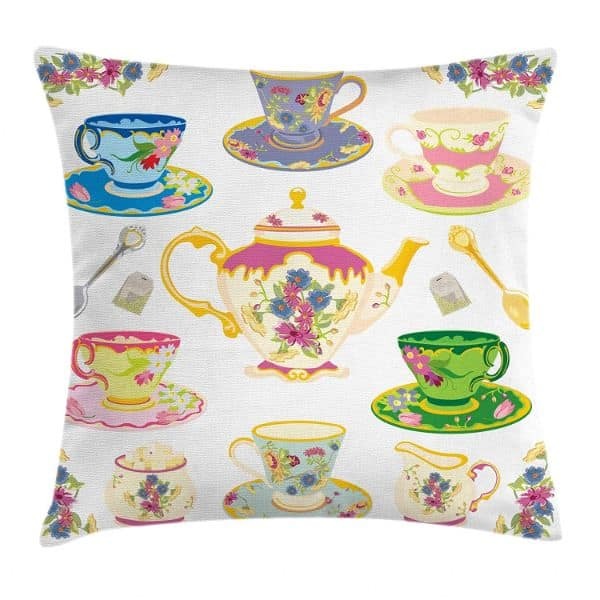 A patterned cushion cover made to please the tea fanatic, the prints are so vivid and promises of no fading, this pillow cover is an ideal gift for any tea drinker. 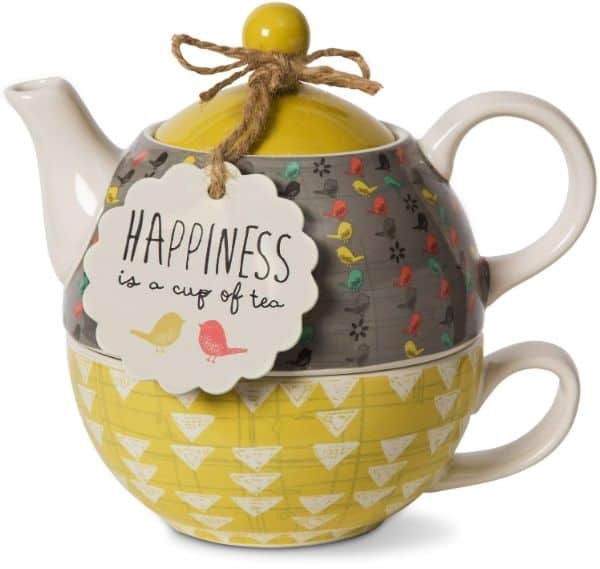 You know that anything relating to tea will be up their alley, so don’t forget to include this on your list! Thank you for making it this far, we do appreciate your time browsing our list/links of tea-themed presents. 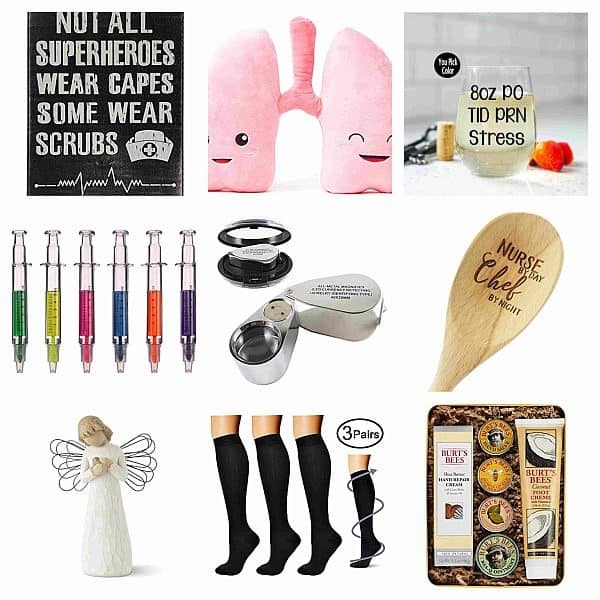 We hope that our listing didn’t disappoint, we know that there are tons of gift ideas out there, but we really tried to keep it short and simple, because the focal point of our listing is to come up with inexpensive gifts that are worth every penny you saved. And before we let you go, allow us to give a piece of advice when it comes to consumerism: “Remember that good things come to those who choose wisely.” Ciao!